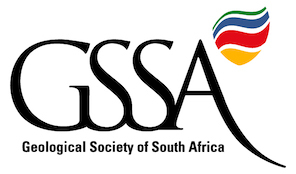 Although the GSSA is a not-for-profit organisation, the proper management and governance of its financial affairs is crucial for carrying out day to day operations. As with most professional societies, the income of the Society is derived mainly from member subscriptions, staging of events, book sales, bequests and sponsorships. Management of the operational funds derived from these sources – along with the necessary governance – is achieved using a mixture of current and money market call accounts, as well as investment funds. Day to day accounts management is handled using the Pastel accounting package, and a full time book keeper is employed. The GSSA accounts are audited annually, and the Society is tax compliant and VAT registered. The audit report and financial summaries are presented to the membership at the Annual General Meeting, usually held in July. The GSSA also maintains a separate Research and Education Investment fund (the REI fund) managed separately from its operational accounts. The REI fund is used for funding research undertaken by its members, and is managed in such a way that the fund continues to grow. Any category of member is eligible to apply for funding, normally called for annually. The Finance Portfolio responsibilities also include the management of full time staff as well as all administration requirements.